What Causes a Loss of Taste After a Car Accident? What Causes a Loss of Taste After a Car Accident? Home Blog Burn Injuries What Causes a Loss of Taste After a Car Accident? What Causes a Loss of Taste After a Car Accident? It is estimated that approximately 2.8 million Americans sustain a traumatic brain injury (TBI) every year. Car accidents are listed as the leading cause of traumatic brain injury deaths between the ages of 20 and 44, with 153 people dying every day from a TBI. But death is only of the impacts. Loss of smell and taste after a head injury caused by an accident are common symptoms. They are symptoms described by one patient as having the “color of life” sucked out of him. Keep reading to find out how to seek compensation for this isolating disorder. One individual told BBC that head injury causing loss of taste makes you feel like a “spectator in your own life” and like you are watching the world through a pane of glass. In many cases, loss of taste after head injury is permanent. There is no cure after nerves have been destroyed. Damage to the nerves after a head injury caused by a car accident is one cause of loss of taste and smell. Loss of smell and loss of taste are related and are symptoms that often appear concurrently, as the nerves for both senses are located very close together. Concussions are a form of bruising and swelling in the brain. Concussions are the most common form of traumatic brain injury after an accident. Loss of taste and loss of smell after a concussion caused by a car accident are life-changing problems. Medical costs after a traumatic brain injury are estimated to hover around the $60 billion mark today. On top of being isolated from the world, the financial burden for patients suffering traumatic brain injury is significant. The Taste and Smell Clinic in Washington D.C. refers to a loss of taste and smell as a “hidden epidemic.” They say that there are over 1.2 million traumatic brain injuries in the United States annually. Of those injuries, approximately half of those patients are suffering from loss of taste or smell. The disorders of loss of taste or smell can be categorized by diagnoses. The medical term for loss of taste is ageusia, and the medical term for loss of smell is anosmia. Because the nerves for both the senses of taste and smell are located near each other, the loss of taste is frequently related to the loss of smell. Often both diagnoses occur at the same time. Loss of taste can occur at varying degrees. The inability to taste only certain types of foods or some foods is known as hypogeusia. The inability to taste all types of foods is ageusia. The medical term for loss of taste that is associated with a metallic taste in the mouth is known as dysgeusia. Loss of smell and taste after head injury is harmful to the health both physically and mentally. 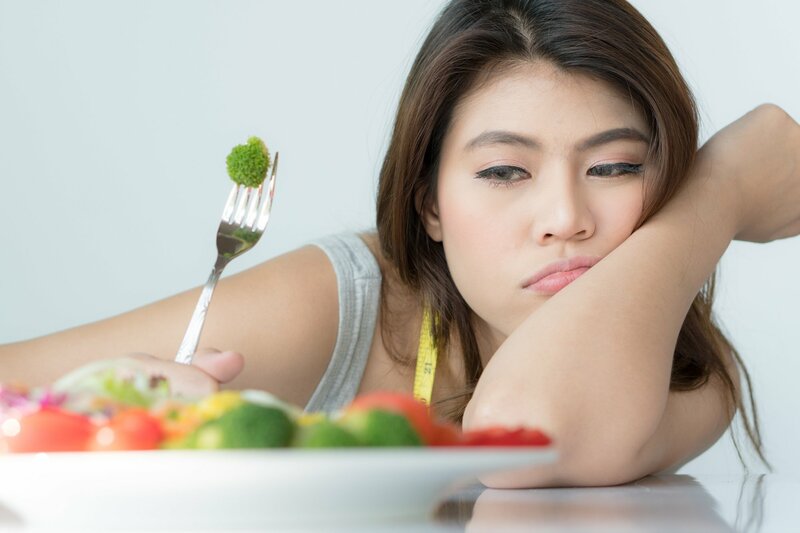 Being unable to taste foods leads to appetite loss and weight loss. Changes in lifestyle will occur as well. Patients with ageusia are more likely to withdraw from social settings. They are also more likely to eat food that has spoiled. Patients with anosmia could also experience dangers to their sense of self. If they are unable to smell smoke or burning, they are more likely to be exposed to fires and injuries from house fires. Loss of taste and smell after a concussion or head injury is caused by a number of factors. Nerve damage is the most common factor. The nerves located from the taste buds to the central nervous system can be damaged or even destroyed after concussion or TBI. But at the same time, vascular disorders or damage can lead to loss of taste following head injury. If there is trauma to the carotid artery or the jugular, loss of the sense of taste can occur. Because the olfactory nerves controlling the sense of smell are closely located to the nerves controlling the sense of taste, the two senses are complementary. When one is impacted, all too often the other is. Not being able to smell a food will impact the victim’s ability to taste food as well. Any form of tissue damage to nerves that control the tongue could also lead to a loss of taste or smell. There are a number of nerves controlling taste. One is located in the front portion of the tongue, and one controls the back section of the tongue. One of the trigeminal nerves of the face also controls the sense of taste and smell. Any form of damage to the nasal passages and airways will also lead to a loss of taste or smell after a car accident. So a victim could experience a frontal face impact in a collision, or an impact to the side of their head or face, or even an impact to their carotid artery, and still, experience loss of loss of smell and taste after these head injuries. It is unlikely that the diagnosis of ageusia will occur immediately following a car accident. The traumatic brain injury will be treated first, and the individual will likely undergo observation. In most cases, a concussion is the first diagnosis made after a traumatic brain injury caused by a car accident. Treatment is generally using the concussion protocol before any other treatment is made. Concussions are caused by injuries to the head, usually by a sudden blow. The Mayo Clinic notes that even violently shaking the head back and forth can lead to a concussion. A concussion occurs when the brain shakes against the skull and leads to bruising or inflammation. After the concussion, loss of smell and taste is common. Doctors use grades when diagnosing concussions. Grade one concussion occurs when there is no loss of consciousness after a blow to the head, and any amnesia, if it exists, doesn’t last any longer than half an hour. Grade two form of concussion occurs when there is some loss of consciousness for just a few minutes after a blow to the head. Any amnesia if it exists lasts for half an hour and up to 24 hours. Grade three form of concussion occurs when there is a loss of consciousness for more than five minutes, and amnesia is present for more than 24 hours. Concussion symptoms can last for a few days or even weeks. They include headaches, loss of consciousness, confusion, amnesia, balance issues, nausea, and vomiting. Slurred speech and responding slowly to questions is also a symptom. Very often patients will have tinnitus or vertigo after a car accident. Patients will be diagnosed first by an emergency doctor, then a neurologist. If loss of taste or smell is an early symptom, they will also see an otolaryngologist or ENT. Researchers at the University of Montreal found that the loss of smell and taste are often connected. They also noted the significant loss of quality of life that occurs with the loss of taste or smell after a head injury. Their study noted that olfactory issues could result from even mild traumatic brain injuries, as well as severe injuries. They examined 49 people with traumatic brain injury of varying degrees. Fifty-five percent of respondents reported anosmia, and forty-one percent had the deficit but were completely unaware. The study further noted that patients that experienced frontal lobe injuries were more likely to suffer a loss of smell after head injury. The researchers further noted that the loss of smell and taste were connected. The lead researcher Dr. Fortin further explained that the sense of smell influences so much in our lives, from what we eat to whether or not we can detect fire or gas leaks. He further noted the impact that smell and taste have on personal relationships. Dr. Fortin concluded saying that not only does the loss of smell or taste have a negative impact on daily life, but it also puts the patient’s safety in jeopardy. The BBC concurs, noting that a double Olympic gold medallist James Cracknell suffered a brain injury in 2005 and hasn’t been able to smell or taste “very much” since. Another patient reported that he feels like he is watching life behind a pane of glass and that the color of life is just gone. The first thing many people think of when it comes to holidays like Thanksgiving or Christmas is what the home of their roots is going to smell like and taste like. Patients suffering a loss of taste or smell after a car accident are robbed forever of this luscious life pleasure that for many of us is a need that helps us to enjoy life. At the same time, many of these patients are struggling to enjoy social occasions or the holidays because they are part of the billion-dollar burden that traumatic brain injuries put on society. If this sounds too familiar, you want a personal injury lawyer who stands up for victims like you. Contact Stephen Babcock today for a free live chat or consultation. They don’t get paid unless you do!